You've probably seen some lovely necklaces, earrings, and rings made from roleplaying dice around the internet. They are fun, geeky, and versatile. You can go from very simple, or you could also add some wire work to make them a little fancier. It's easy to get started, plus it's a good reason to buy even more dice. We'll start with earrings. Dice - I like to get them from Game Master Dice, they have miniature ones too! 1. 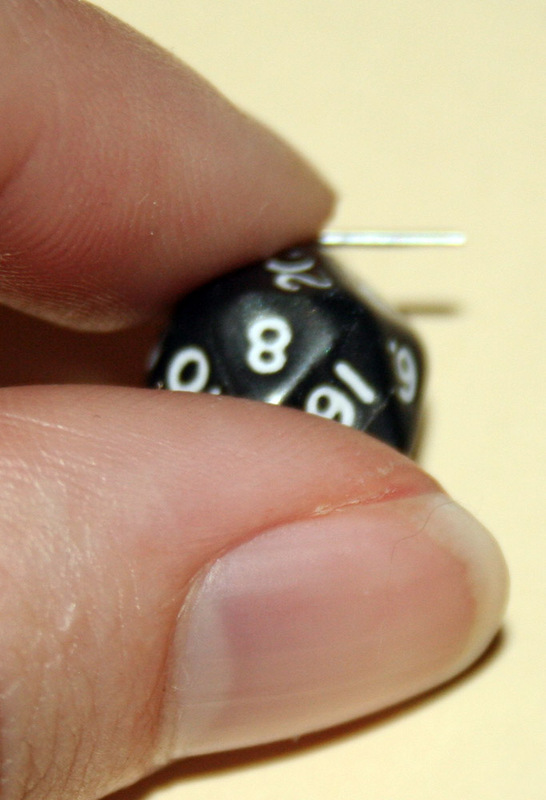 Drill a hole in any dice you want to use following these instructions. This is the way I do it, so I figure there's not much reason to just rewrite it. 2. 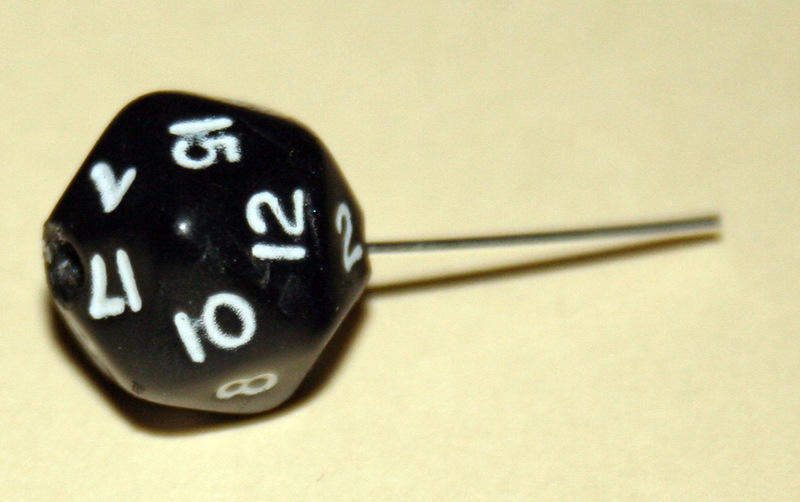 Add your die to each headpin; you can use the same color of the same-sided die or two from one set. 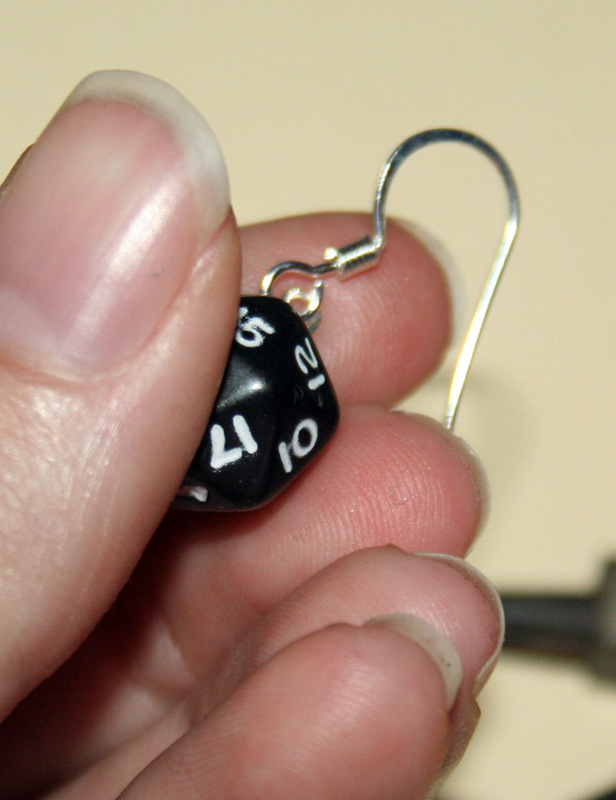 For earrings, I recommend miniature dice. If there is a lot of room left on the headpin add a bead if you have some or cut so that 1/4" remains on the headpin. 3. Make an eye loop. With your round tip pliers, bend the remaining piece of the headpin to a 90 degree angle. Then grasp the tip of the head pin, and curl tip up and into a curve, back to the 90 degree bend. 4. Leave a small opening to add the ear wire on. After you have hooked the ear wire onto the open loop of the headpin, close it gently with the round tip pliers. 5. Repeat with the second earring. And yes, they do make excellent gifts. Just be sure to subtly ask if the recipient has any metal allergies! daughter may be getting a cool necklace for Christmas. Thanks. Did you get the drill at a craft store as well? I'm just curious if there is one that you recommend! Three Years of Roses - My poor worktable with my jewelry things is sad and dusty these days. I don't sit down for play days often enough. Someone else suggested heating the end of a headpin with a lighter and then poking carefully through the dice. The heat should melt the plastic as it goes through. I haven't tried it, but it sounds like it should work. 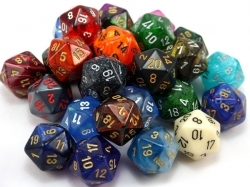 When you are playing board games or other games using dice, you can choose or pick the best quality dice. These are super cute and your instructions are awesome! Thanks for the post. :D I'm wondering, what do you use to secure the headpin to the die once you've drilled into it? Do you dip the headpin into superglue first? African american earrings Explore our curated collection of Ethnic Earrings. Browse our Afrocentric, Natural Hair, Map of Africa and Nefertiti earrings. Tons of earrings at great prices. For corner-to-corner you would probably want your D20 held in a vice so it won't move while you drill. 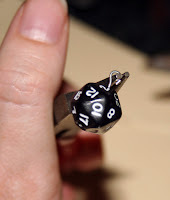 I would think if drilling straight through has you corncerned, try drilling halfway, keeping your drill as steady as possible, and then rotating the dice and drilling from the opposite side, until you connect with the previous drill hole. This way, if you were even slightly off, it isn't visible on the outside of the dice. Really gorgeous style. I like very much.. I found few of website but this website very unique and so many interesting information in here. - Viet-Japan umbrella workshop is the most qualified designers so the umbrella products are the latest and the hottest products on the market. - The construction site always has large labor force and modern machinery system so the work progress, product production always exceeds the level set out with customers. - Material Manufacture even though the umbrella is high quality, ensuring 100% waterproof. You can wear a comfortable umbrella without fear of affecting clothing or other items. - If you are worried when using the umbrella that you can not use the phone, you do not have to worry, the style of the company has been adjusted to suit each purpose with you. - All products sold at our unit have a full warranty for all customers, sure samples taken at our facilities will make customers feel happy and satisfied. - The processing time for each large contract from 10 to 15 days, so you need to contact immediately with the umbrella Viet Nhat Foundation we do not miss the opportunity to give gifts to your customers.